The Bundle of Holding currently has three thematically-related collections on offer. Each tangentially or directly embraces steampunk. They’re all worth picking up and each supports a great cause. And I have a selfish reason for mentioning these. Links to the bundles are in the headers. This is a collection of stand-alone steampunk games and supporting materials for some of them. You can see how different designers have approached the concept. Some stay traditional, some look at the punk side of things, and others port it over to fantasy to create a new hybrid. Currently the Bundle’s starter collection has Abney Park's Airship Pirates, featuring time-travel and Neo-Victorians; The Concert in Flames, a guide to the steampunk Europe of Victoriana; and Sweet Chariot 2, a lost colony world built on steam-driven technology. 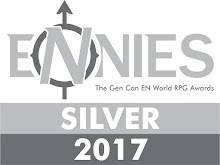 The bonus collection has The Pure Steam Campaign Setting, a fantasy-steampunk world for Pathfinder; Westbound the first major sourcebook for Pure Steam; Underneath the Lamplight, a guide to the strange future world of Airship Pirates; and Steamcraft, a complete game of magic and dystopian steamtech. I know that because Allen Varney let me help out a little with picking the items for the bundle and putting together the copy. I’ve looked that the history of steampunk and Victoriana in rpgs pretty extensively. You can check out my lists covering that here. I missed this Bundle the first time it came around, so I’m glad to have it back now. 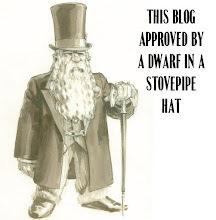 It contains pretty much everything for the most recent edition of the Victoriana rpg. That contains some of the richest resource material for anyone running a Victorian, Steampunk, Weird Science, or Other-punk game. The starter collection has the core book plus three others including the “stuff” compendium for the game. The bonus collection's equally cool. You get the magic sourcebook, a guide to London (useful! ), several adventures, and a guide to colonial India, an often overlooked time and place. Years ago I pre-ordered the Warmachine intro faction boxes they released to drum up excitement for the forthcoming game. I anxiously await the chance to assemble and get those minis to the table. Those Warjacks and Warcasters remain among the most solid metal figures I own: I broke many drill bits pinning them. While I ended up not going full in on Warmachine, I loved the setting. Eventually I read through the D&D 3e materials and even had a chance to play a couple of sessions. But I’ve never gotten it to the table. So Iron Kingdoms remains among my top five "White Whale" campaigns: settings I want to run, but with a different and easier system. (The others being Fading Suns, Planescape, Night’s Black Agents, and Scion…right now). The starter collection has the core book, monster manual, and a supplement/adventure. The bonus collection adds the denser and richer Kings, Nations, and Gods with more about the world. I thought the core book had a ton of hooks and backstory, but this takes it to eleven. 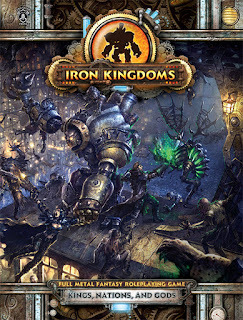 This level also offers the parallel core book, Iron Kingdoms: Unleashed, which covers all the wilder places of the world. There you can play from among the peoples who use monsters in place of steamjacks. Very cool. Plus there’s some more adventures and supplements in the mix. The Bundle of Holding’s a great thing, benefiting many different charities. And frankly all of these bundles are a great deal. 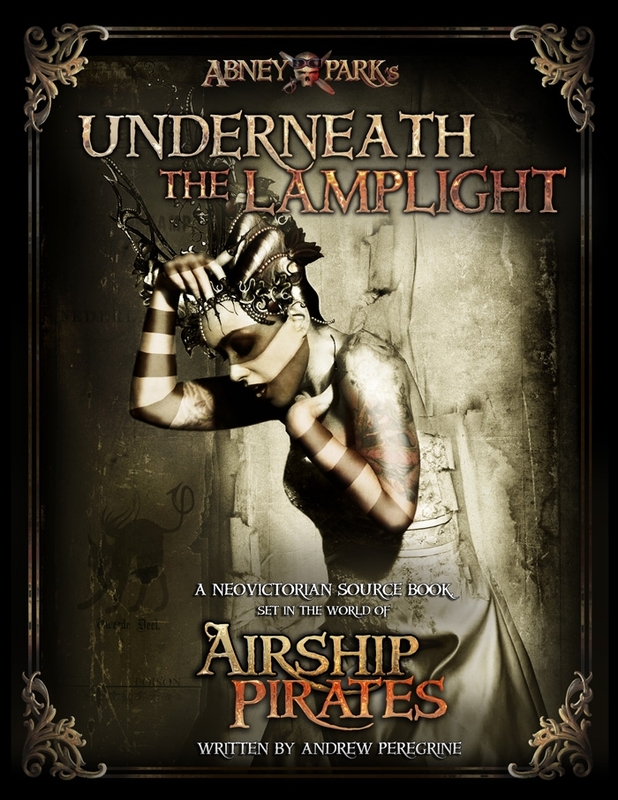 There’s more than enough to build a brilliant campaign for any GM vaguely interested in steampunk. I selfishly hope you'll check these out and consider the Steam-Powered Bundle I helped with.